Even in the diverse world of Franco-Belgian independent comics, there is no publisher quite like Frémok. The name itself is a neologism—a combination of Fréon and Amok, the two publishers that merged to form the new entity. A hybrid itself, Frémok constantly reapproaches, readdresses, and reinvents the comics medium by repeatedly hybridizing fine arts and narration at the extreme limits, wilfully disregarding the conventions of the comics form. Despite the diverse artistic media used to produce Frémok comics—woodcuts, oil paint, graphite, carbon paper, lithography, and more—Frémok insists that the book is itself an artistic production, and they give extraordinary care and attention to bookmaking. Beyond publishing, Frémok functions as a “platform” for new projects that expand the organization’s fundamental thesis across a spectrum of activity that includes exhibitions, site-specific installations, and, increasingly, collaborations with other institutions. The beginnings of what would later become Frémok took place in a distressing period for francophone comics. The profound renewal that came with the countercultural explosion of the 1960s and ’70s seemed to be definitively over two decades later. By the second half of the 1980s, francophone comics, or bande dessinée, had become as standardized in their own way as the DC/Marvel-style superhero comic books in the US. Overwhelmingly, publishers adhered to the oversized, forty-eight-page hardcover “album” format (perhaps best known to American readers as the standard format for Tintin and Asterix volumes). Publishers produced countless series with endlessly recurring characters in established fictional genres, privileging the eternal return of conventional artistic styles. A hybrid itself, Frémok constantly reapproaches, readdresses, and reinvents the comics medium by repeatedly hybridizing fine arts and narration at the extreme limits, wilfully disregarding the conventions of the comics form. In order to bolster this international publishing community, in 1995 Fréon and Amok organized Autarcic Comix, a series of events that brought together independent publishers including L’Association, Ego Comme X, and La Cinquième Couche for exhibits, discussions, and pop-up points of sale directly to readers. The retail component was not insignificant: at the time, even specialized bookshops were reluctant to sell alternative comics, so this DIY effort represented a way to get around dominant distribution channels. Many Frémok books express the idea that the emotional appeal of art should not be sacrificed for the comprehensibility of the plot. 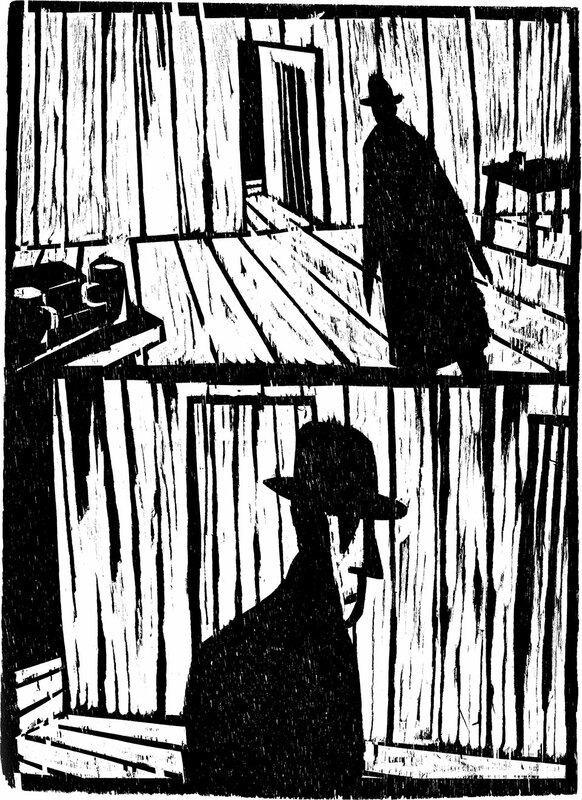 In Olivier Deprez’s free adaptation of Franz Kafka’s novel The Castle, the use of expressionistic woodcuts emphasizes the rawness of the human relations. The glut of black areas translates metaphorically the sensation of being smothered by a merciless bureaucracy. Gloria Lopez, by Thierry Van Hasselt, shows numerous gray values where the pictorial substance is quite literally dripping or bursting like soap bubbles. Panels are made from monotypes mixing black ink with paint thinner. Such drawings expressing uncertainty are congruent with the fragmented narrative and the depiction of a prostitution underworld. Cîmes (Peaks), by Vincent Fortemps, is drawn with charcoal on both sides of transparent plastic sheets, sometimes slashed with a knife. 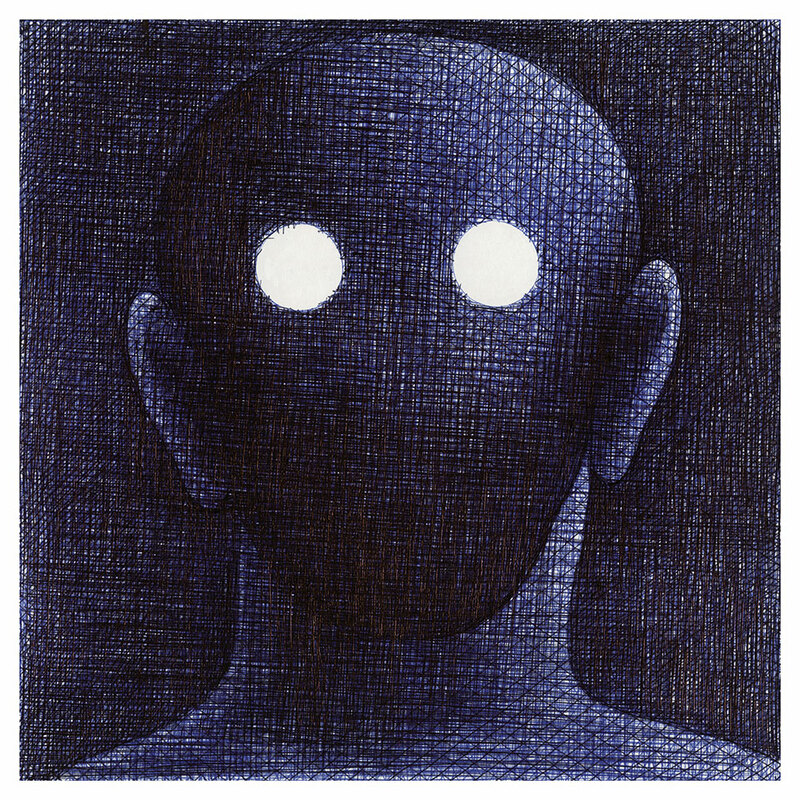 This allows Fortemps to create lighting effects that emphasize the evanescent nature of his wordless comics. These images evoke a waning rural world that seems to disappear like childhood memories. Frémok authors have supported from the very beginning the idea that their creations have the same meaning and effect when put in an exhibition space as they do in the pages of a book. The will to “erode boundaries” and be “brought to unlikely areas” is eloquently illustrated by the publisher’s new imprint, Knock Out. This “platform of experiments” is born out of the meeting between Frémok and La “S” Grand Atelier, an art center with several studios for creators with mental disabilities located in the municipality of Vielsalm in the rural south of Belgium. This collaboration began in 2007 with a comics workshop in which artists associated with Frémok produced comics collaboratively with artists working at La “S”; that first meeting resulted in the published anthology Match de catch à Vielsalm (Wrestling contest in Vielsalm). Several other projects—including books, exhibitions, lectures, theoretical papers, and artists’ residencies—have followed, celebrating “the wealth of hybrid projects.” A body of more recent multimedia collaborations was documented in the anthology Knock Outsider! alongside texts discussing the ethics and aesthetics of outsider art and the overall project. The Knock Out imprint was established to signal Frémok’s commitment to this ongoing and highly specific collaboration between two groups of artists. One of the most intriguing achievements currently run by this artistic joint venture was initiated by Marcel Schmitz, an artist with Down syndrome. Since 2011, he has embarked on a mammoth 3D utopian city made with cardboard and scotch tape: FranDisco. According to its founder, the place is famous for its Belgian endives grown under glasshouses by naked workers and for its cathedral that features a swimming pool. 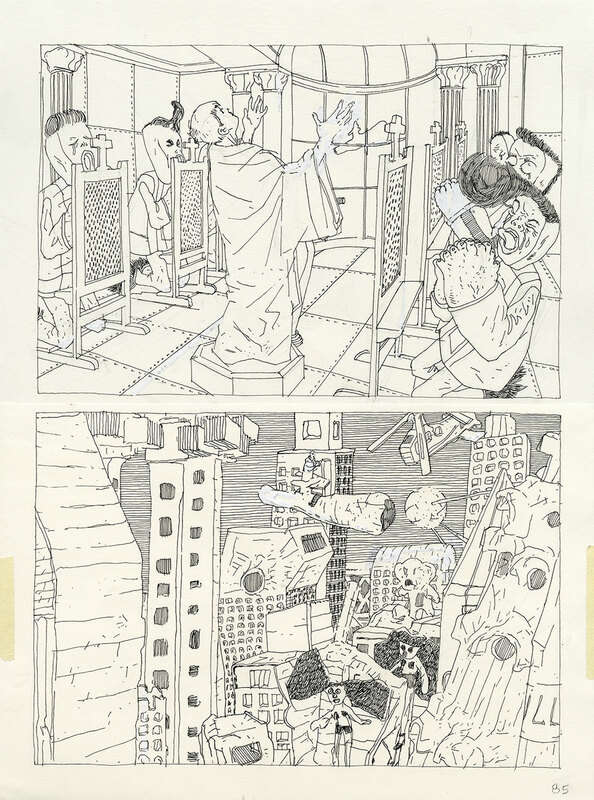 This permanent work in progress has given Thierry Van Hasselt the idea for a comic that would take place in this invented, constantly evolving environment. The building of the town and the making of the comic continuously enrich each other, in particular during artists’ residencies in various locations (the last one took place in the stunning Fondation Vasarely in Aix-en-Provence). These places have copiously inspired the model city’s transformations, which, in their turn, have fueled the content of the comic. In Vivre à FranDisco (Living in FranDisco), Marcel Schmitz intervenes from time to time in Van Hasselt’s comics panels. This organically built work tells not only a story that takes place in its imaginary metropolis but integrates the process of its own creation into its fictional content. Pages from this project and more work by Frémok artists will soon be visible to North American readers in Frémérika, a collective English-language anthology that will be published within the next year. The goal of this book is definitively not to retrospectively present the quintessence of what Frémok has already produced during its past twenty-five years of existence. 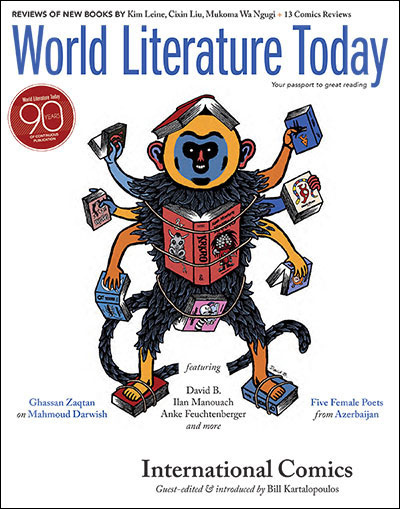 Instead, most of the content planned for this volume has never been published in any language, giving English-speaking readers the opportunity to witness an editorial project that continually redefines its forms and its uses. The plans for this publication follow an increasing presence by Frémok at American comics festivals including the Brooklyn Comics and Graphics Festival; SPX: The Small Press Expo in Bethesda, Maryland; and the MoCCA Arts Festival in New York City. Additionally, Parecer es mentir (Pretending is lying), by Dominique Goblet—one of the core Frémok authors since Frigo’s earliest days—is forthcoming in translation from New York Review Comics, the new comics imprint established by the New York Review of Books. These steps all represent a literal transcontinental boundary-crossing by this unique publisher, so that North American readers—and artists—can more fully experience and consider Frémok’s boundary-breaking form and content. 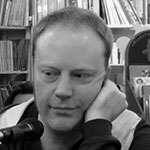 Erwin Dejasse has a PhD in art history and is an exhibitions curator, academic researcher, and lecturer specialized in comics. He writes also regularly about art brut and other visual art forms at the margin. He is currently the curator of La “S” Grand Atelier’s art collection.